Eddie Rickenbacker really had little to do with this brand of car, other than lending his name and image. In fact, the people behind it were also behind earlier failures such as E-M-F, Everitt, the Flanders 20, and so on. The trio of Barney Everitt, William Metzger, and Walter Flanders took one financial beating after another and always came back for more. Rickenbacker was famous for being the first non-luxury car to offer four-wheel brakes. That may seem insane, but cars in general have always been a development-in-process since day one. 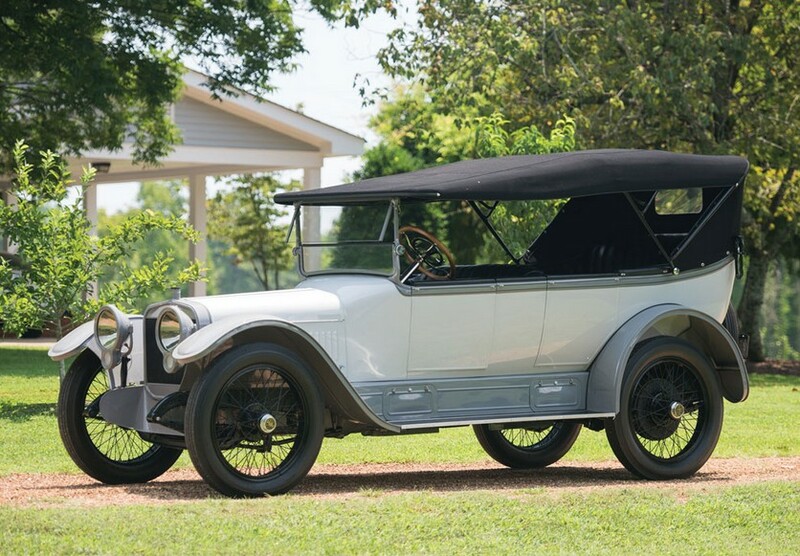 The first Rickenbackers went on sale in 1922 and this 1926 model features a 3.9-liter, 60 horsepower straight-six engine, and a 3-speed transmission. Eddie Rickenbacker resigned from the company the year this example was built and the company closed in 1927. It is estimated that 5,400 cars were made in 1926 alone, split between six and eight-cylinder models. This Coach Brougham would’ve cost $1,895 in 1926, but you’ll have to check back to see what it brings in 2018. Click here for more info and here for more from this sale. The Milburn Wagon Company had been around in Toledo since 1848. In 1914 they decided to start building electric cars. Over a thousand were built in 1915 but the factory suffered heavy losses in a fire in 1919. By 1921, 75% of the employees were building bodies for GM cars while only 25% were building electric cars. 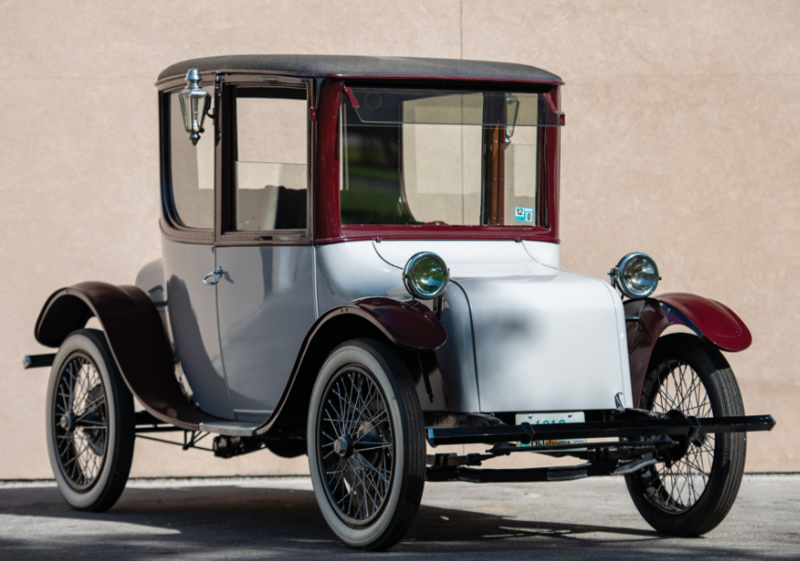 General Motors bought the plant outright in 1923 and this early electric car manufacturer was gone. 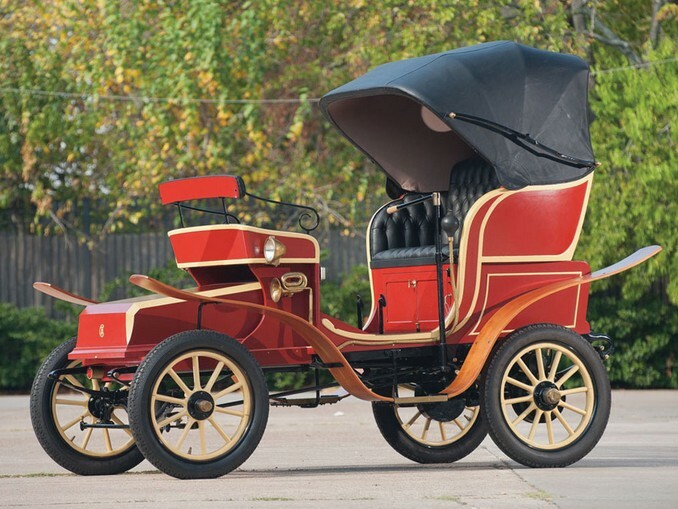 This car featured a 60 mile range when it went on sale, with a top speed of 19 mph. It was one of many such cars with stodgy, upright bodies, but they sold relatively well while electric cars were hot. They were lightweight and this one has been well restored and converted to run on 12-volt batteries. Milburn built over 4,000 cars in their short lifespan. Survivors are sought after and don’t change hands often. This one should bring between $25,000-$35,000. Click here for more info and here for more from this sale. Some things come back around and right now, thanks to Tesla, electric cars are hot. But back in the early days of the automobile, when different propulsion systems were fighting for supremacy, electric cars were fairly popular as well. Part of the reason for their popularity was the ease with which one could operate such a car. There was no crank, no warming up. You just got in and went. This car is powered by a 4.3 horsepower electric motor. Only 95 of this type were made, making it quite rare today. Remarkably, this example has known ownership history from new and was originally purchased in Canada. Today, it should bring between $60,000-$80,000. Click here for more info and here for more from RM Sotheby’s. Detroit Electric is one of the most famous names in electric automobiles. They built cars for a while, too, beginning in 1907 and lasting through the mid-to-late-30s. Later models are rarer than these post-WWI, upright, boxy cars. The company offered quite a large range of cars during this period – 1919 alone had six different model/body style combinations. This car is powered by a 4.3 horsepower electric motor. It is mostly original but has been repainted. It’s an timeless design. This is the type of car you can use or restore and not feel bad about either choice. It should sell for between $40,000-$50,000. Click here for more info. Charles Cretors invented the popcorn machine. His shop sold roasted peanuts but he wasn’t satisfied with the machine he had, so he built his own. 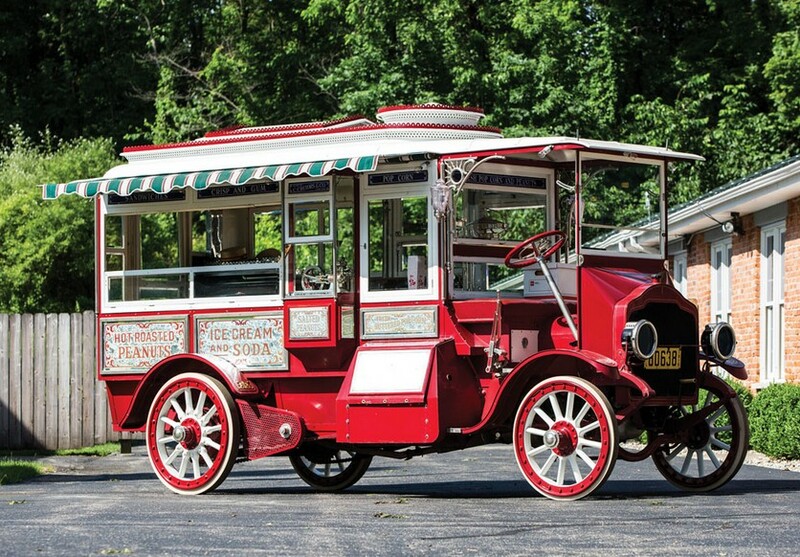 His company started building horse-drawn popcorn wagons and for a brief time, actually offered motorized popcorn wagon trucks. This truck features a Cretors chassis and a 4.0-liter Buda straight-four making 22.5 horsepower. The Harrah Collection acquired this example in 1963 and restored it to working perfection. It’s the ultimate toy/promotional vehicle/historical artifact. Only eight or nine of these were built and less than five survive. It’s really cool and will cost its new owner between $250,000-$325,000. Click here for more info and here for more from this sale. Alexander Winton should be one of everyone’s automotive heroes – he’s definitely one of ours. Winton cars were always reliable, attractive, and well-built. The cars deserved to be around a lot longer than 1924, but the marque lived on in one form or another as a producer of engines until the 1960s. 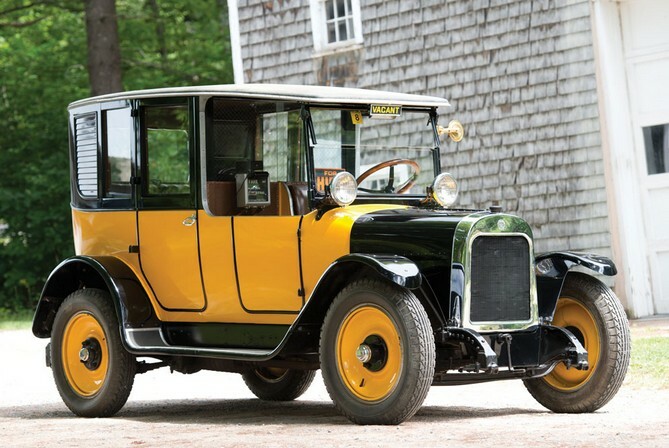 The six-cylinder Winton Model 33 was built between 1916 and 1919. It uses a 5.7-liter straight-six making almost 34 horsepower. 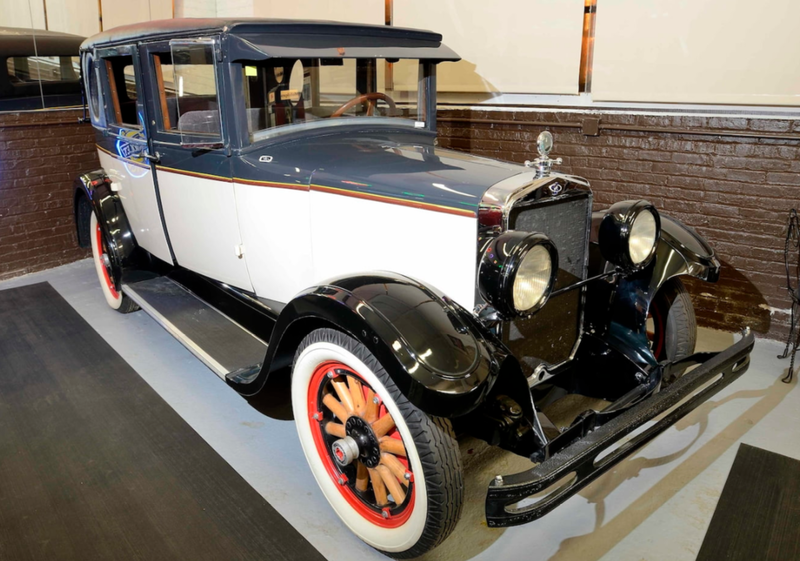 Body style could be had just about any way you wanted it and this seven-passenger touring was the largest of the four touring styles offered. It’s great and should bring between $75,000-$100,000. Click here for more info. Petrel was a very short-lived automobile make from Wisconsin. Initial production in 1909 took place in Kenosha but by later that year they had relocated to Milwaukee, where they stayed until the plant closed in 1912. A six-cylinder car was offered in 1909 alongside the four, but the smaller cars were the sweet spot for the company. This 30 horsepower straight-four is of 4.7-liters in displacement. It resembles a lot of other, early roadsters but that vibrant purple really sets it apart. And yes, that is the original color, although it was exquisitely restored 50 years ago. Less than 1,000 Petrels were built and it is thought that this is the only survivor. It should bring between $100,000-$150,000. Click here for more info. This is a huge car. And it’s gorgeous, too. The Landaulette body by Barker offers a downright cavernous passenger compartment fitted with all the luxuries available to the British motoring public on the dawn of WWI. The engine, chassis, and coachwork are all the matching originals. The car was restored between 2004 and 2005. The 40/50HP Silver Ghost still stands as one of Rolls-Royce’s finest achievements. The engine is a 7.4-liter straight-six. While maybe not a fun driver’s car, it seems more fitting as one to be chauffeured around in. It has known ownership history since new and should bring between $500,000-$700,000. Click here for more info and here for more from this sale. The Woods Motor Vehicle Company was founded by a group of rich guys in Chicago. Among them were executives from Standard Oil, so it is odd that the company specialized in electric cars for nearly 15 years. But I guess the another board member (a co-founder of General Electric) got his way instead. The Woods name comes from Clinton Edgar Woods, the holder of the patent that the company purchased. The first car was built in 1899 with series production beginning in 1903 and lasting through 1915 before the company switched gears and became Woods Dual Power (and building gas-powered and hybrid cars) before going out of business after 1918 (though, strangely, there was a gasoline-powered “Woods Electric” offered between 1905 and 1907). 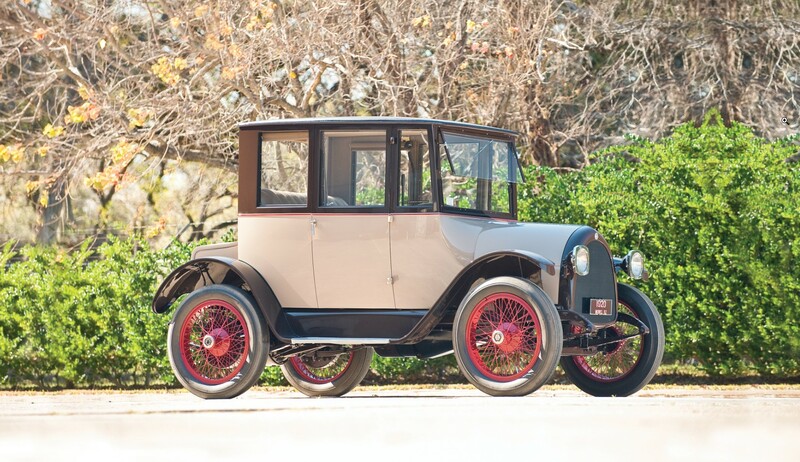 The 1905 model line offered an electric car of varying wheelbases – 13 body styles in all. 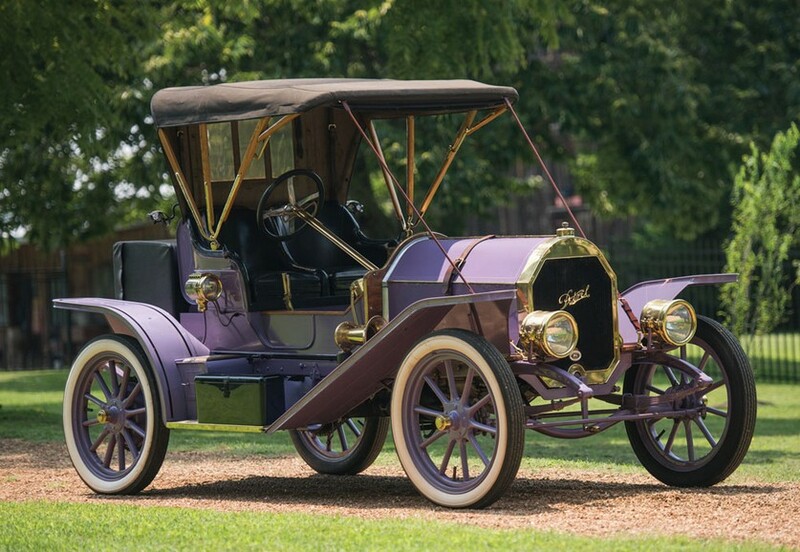 This car features Style 214A (which wasn’t actually introduced until 1906 – so this car may actually be a 1906). But it is listed as the only surviving 1905 Woods Electric. It can do about 30 mph and the closed body is removable if you want the air in your face as you drive. It’s super interesting and should bring between $82,000-$97,000. Click here for more info and here for more from this sale. Here’s a car I’ve always wanted to feature, but I was starting to wonder, “Just how many are left?” Not a whole lot, as it turns out, but some are still around – thankfully. What I love about these cars is what they represent. Ever watched some black and white video clip of New York City during the Roaring 20s? A video shot at night, among the brightly lit theater facades of Broadway? There are quite a few little cabs like this running around those streets at a sped-up frame rate. It’s a time period that’s always fascinated me and this is among the best examples – and among the least seen – of everyday urban life in the 20s. Anyway, the Yellow Cab Manufacturing Company was founded by John D. Hertz (yes, of that Hertz fame). It was founded in 1920 to build taxis for his Yellow Cab Company in Chicago. In 1925, it was acquired by GM and the brand name disappeared after 1929. The engine is a 2.9-liter Continental straight-four making 18 horsepower. Yellow built mostly taxis – but not all of them left yellow and some may have been used as passenger cars. This example is ex-Harrah and ex-Imperial Palace and is wonderful. It should sell for between $40,000-$60,000. Quite a few were built, but very few remain. Check out more here and see more from this sale here. 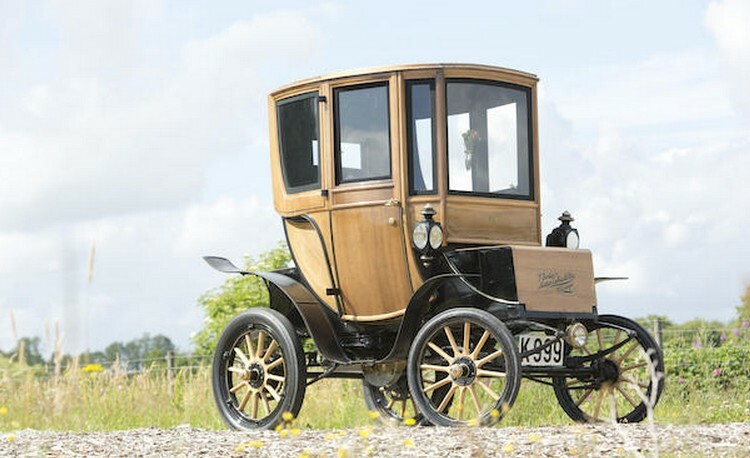 Talbot began life in 1903 as Clement-Talbot – it was a British company financed by Charles Chetwynd-Talbot and Frenchman (and already successful automobile producer) Adolphe Clement-Bayard. Clement-Talbot was to produce Clement-Bayards under license in the U.K. 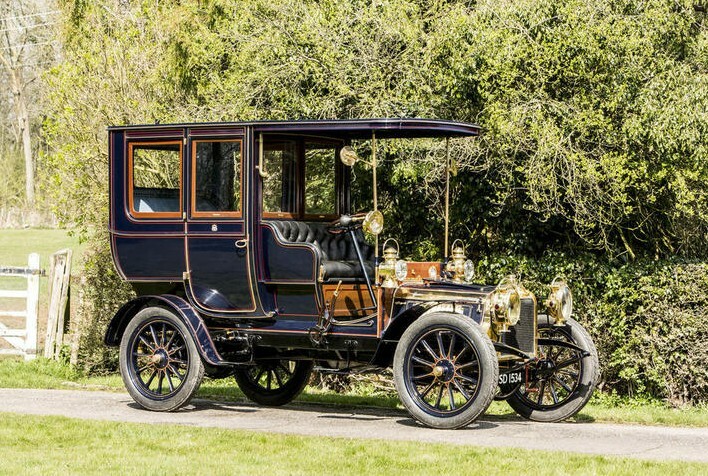 Though after only a single model year, Clement-Talbot would become just Talbot for 1904, making this car from the first year of Talbot manufacture. The CT4V-B was one of two four-cylinder Talbots offered for 1904. It made an additional two horsepower (16) over the base CT4V model from the 2.7-liter straight-four. The body is a big one – a Brougham with open chauffeur seat and closed passenger compartment. It’s well-equipped and the passenger section looks very much like the horseless carriage that it was in 1904. This car entered the Michael Banfield collection in the 1970s and had been well restored. It’s a fine example of veteran motoring and can be yours for between $590,000-$760,000. Click here for more info and here for more from this sale. 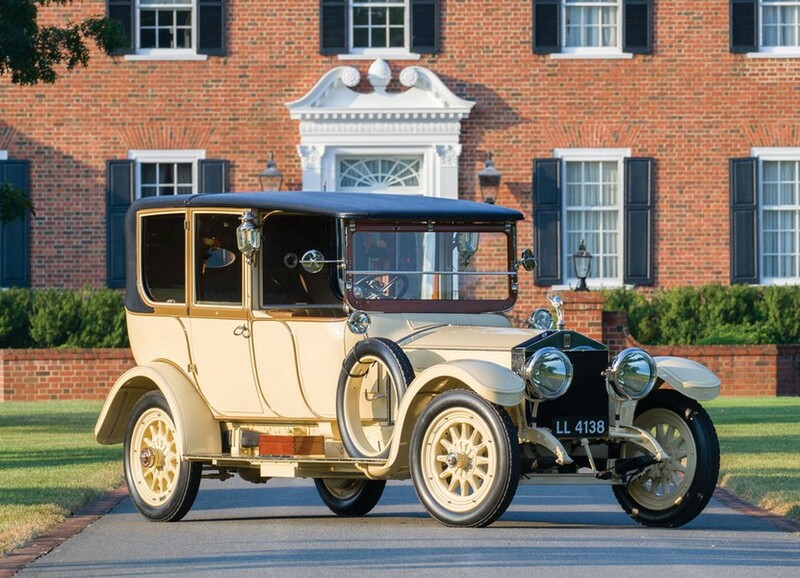 There is a fabulous collection of Hudsons at this year’s Auburn Spring Sale from Auctions America. 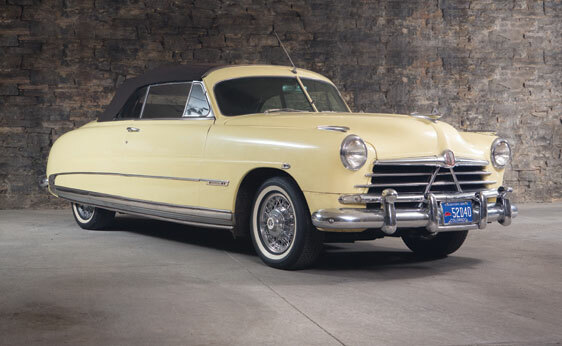 There are two 1950 Commodore 8 Convertibles, and while the other one is in nicer, brand-new condition, I think the color combo on this one is more attractive. Plus the photos are better. The third generation of the Hudson Commodore was introduced for the 1948 model year. This generation is one of my favorite American car designs of all time. Their final year was 1952. Engine options were a straight-six or a straight-eight, as found in this car. It is 4.2-liters and makes 128 horsepower. The convertible was a nice style – as all two-door Commodores are super-sporty looking, sharing styling cues from the Hornet, which had been honing its skills on the NASCAR circuit. This is an all-original car with 71,000 miles and three-on-the-tree. The fender skirts are what sets it apart – to me at least. And the wire wheels are off a Chrysler (and I’m not sure why). This is a $30,000-$45,000 car. Click here for more info and here for more from this sale. Sometimes, with electric cars, it can be difficult to extract horsepower and performance figures. This is even more difficult when the car is almost 110 years old. It is an electric car, built by A. Tribelhorn & Cie AG, in Feldbach, Switzerland. And I have no idea what kind of power it makes. Probably not a lot. The company was founded by Johann Albert Tribelhorn in 1899. 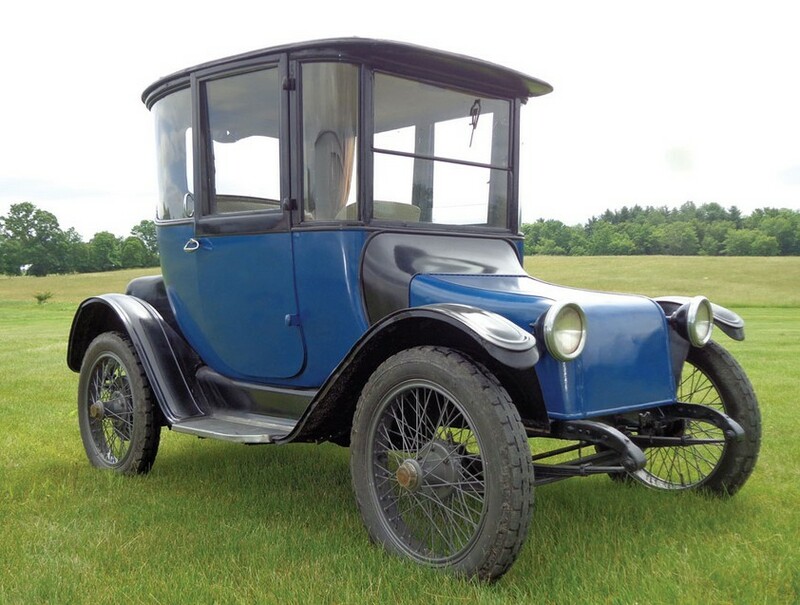 The company built electric cars exclusively up until they were acquired by a rival in 1919. For another year or so after that they built a few electric commercial vehicles. This is a passenger vehicle with wood bodywork and tiller steering. It was offered by RM at Hershey in the fall of 2011 fresh from the estate of John O’Quinn. It sold there for $35,000. Now it is being offered for sale again, less than two years later. It makes you wonder why – did the new owner run out of money? Hate the car? Did it not work? In any case, this is a good chance to grab up a rare Swiss electric vehicle. And you know what was paid for it a year and a half ago, so they can’t exactly be asking for the moon this time around. Click here for more info and here for more from RM.